Nestled in the picturesque rolling hills of Bethany, Ontario, just South of Peterborough, is The Ranch Resort Banquet & Conference Centre. 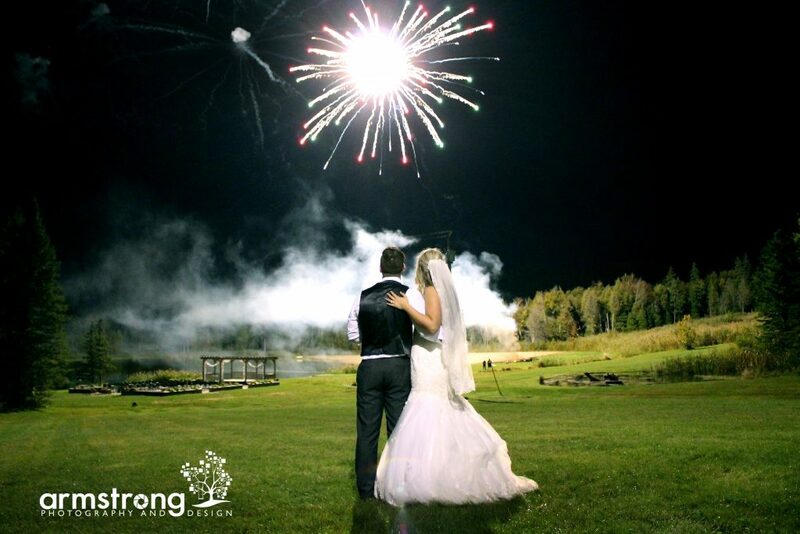 Our main building is situated at the base of the second highest mountain in Southern Ontario, The 10,500 square foot, wood & iron Ski Chalet was meticulously transformed into an elegant wedding venue in 2001 with décor inspired by the fashion cities of the world, the perfect venue for your special day. Two large licensed terraces are connected to the main building, overlooking 150 breathtaking acres, a nine acre pond with a sandy beach, fish, ducks, birds, occasional swans, manicured lawns, and forested hills. The Ranch Resort Banquet & Conference Centre offers ambiance all year round, whether in autumn amidst the fall colours or in summer with an endless sea of wild flowers. Special room rental packages are also available for weddings, banquets receptions or conferences. Looking for an evening of fine dining and entertainment? The Ranch Resort offers a variety of events each month, guaranteed to please you, your palate and your pocketbook! Special Events, Birthdays, Anniversaries and Christmas Parties….etc. The Ranch Resort is that unique location with lots of outdoor space and three banquet rooms to choose from. Let us help you create your special party with the help of our experienced party planners. Interac, Visa, Mastercard payments accepted.